Debbie Withers has been a freelance writer since 2006. She is a qualitative research and marketing consultant with experience as a certified marketing director for shopping malls. Her publishing credits include "Woman's Day," "Lifestyles Magazine," "Shopping Center World" and "Marketing News." Withers holds a Bachelor of Science in advertising from the University of Texas. Calories in, calories out: Burning more calories than you take in is the way to lose weight. Reducing calories with diet and burning them through exercise are proven methods that work, but sometimes supplements can help the process along. Carb blockers are a dietary supplement that can help cut calorie intake by preventing a portion of the carbohydrate calories from being used by the body, instead passing through the gastrointestinal system undigested. Carb blockers not only impact weight loss, they may also be an effective tool for diabetes management. 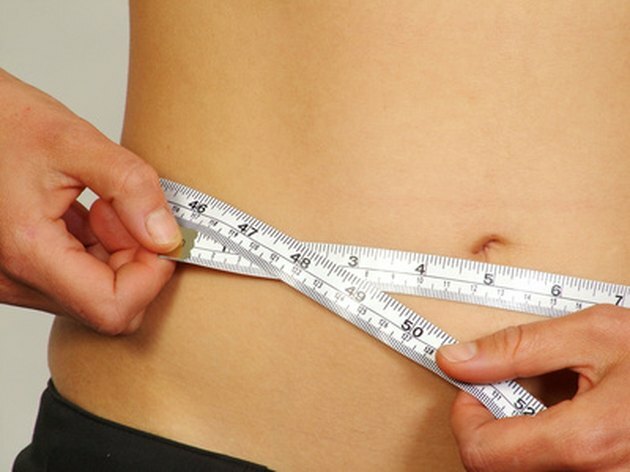 Check with your medical practitioner before embarking on such a weight loss or dietary program. One of the most popular over-the-counter carb blockers is Phase 2. A natural supplement made from white kidney bean extract, Phase 2 has been shown in clinical trials to inhibit the digestion of complex carbohydrates, decreasing the number of starch calories absorbed to potentially promote weight loss. Alpha amylase is the enzyme in your digestive system that breaks down starch. Carb blockers such as Phase 2 temporarily neutralize that enzyme, allowing some of the carbohydrate calories to pass through the body undigested. “In many respects, carb blockers mimic the beneficial effects of fibers,” says Dr. Harry Preuss, a tenured professor at Georgetown Medical Center, a research fellow at the National Institutes of Health and a certified nutritional specialist. Take carb blockers before or with the first bite of a starch-containing meal. Generally, two capsules are taken up to 10 minutes prior to the meal, but the product’s maker will have instructions on the bottle that may vary slightly from this. Most manufacturers suggest taking no more than two doses daily to supplement two starchy meals. Preuss says that taking carb blockers before or with high-glycemic foods can lower their glycemic index by slowing their absorption and may improve or even prevent insulin resistance. These beneficial effects on the glucose-insulin system could impact not only the obesity epidemic, but the burgeoning diabetes epidemic as well. Speak with your medical practitioner before starting a weight loss program using dietary supplements. Doctors say carb blockers are not a "magic pill" and that patients still need to watch what they eat and exercise. Possible side effects from taking carb blockers include gastrointestinal distress, heartburn, excessive gas and diarrhea.